On this Veterans Day, we honor those who serve, and have served, our country with memorials and appreciation ceremonies both locally, and across the country. That we participate in these events is very important in terms of recognition, respect and remembrance, but more pragmatic benefits for Veterans are also available. Most everyone has heard of the “GI Bill” which was passed in 1944 for the benefit of service members returning from World War II. The main components of the bill, at that time, were education, home loans and unemployment benefits. That’s pretty incredible and the VA Home Loan Guaranty benefit continues to be alive and well, and can assist Military Service Members, Veterans and eligible surviving spouses to become home owners. This benefit may be used to purchase a home that will be used as a primary residence by the Service Member or Veteran. It can also help retain a home, repair a home, or adapt a primary residence. VA Home Loans are provided by private lenders. The VA guarantees a portion of the loan and that enables the lender to provide the borrower with more favorable terms, such as competitive interest rates and seller-paid closing costs, often without requiring a down payment or private mortgage insurance. A VA Home Loan may be obtained through a lender of your choice once you obtain a Certificate of Eligibility (COE). Please be aware that not all banks, credit unions or mortgage companies can offer VA Loans – Check with your financial institution or ask for lender recommendations from friends or family, or a REALTOR. I always recommend that you work with a lender who has a local presence in your community, rather than an on-line lender. Obtaining a Certificate of Eligibility doesn’t necessarily mean you will be approved for a VA Home Loan. You must also qualify, financially, for the loan. To determine if you qualify for a loan, and how much home you can afford, your lender will need information about your income, assets, and debts and will obtain your credit reports to determine whether or not you will be able to repay a loan. Once you have your COE and loan pre-approval, if you don’t already have a REALTOR who knows about VA Home Loans, that is the next person to find. Since not all properties will qualify for a VA Home Loan, you want to work with a REALTOR who has experience with VA Home Loans, and knows which properties will pass muster. A REALTOR will also explain the entire home-buying process so that you know what to expect at each step along the way. If I can be of service, please contact me. 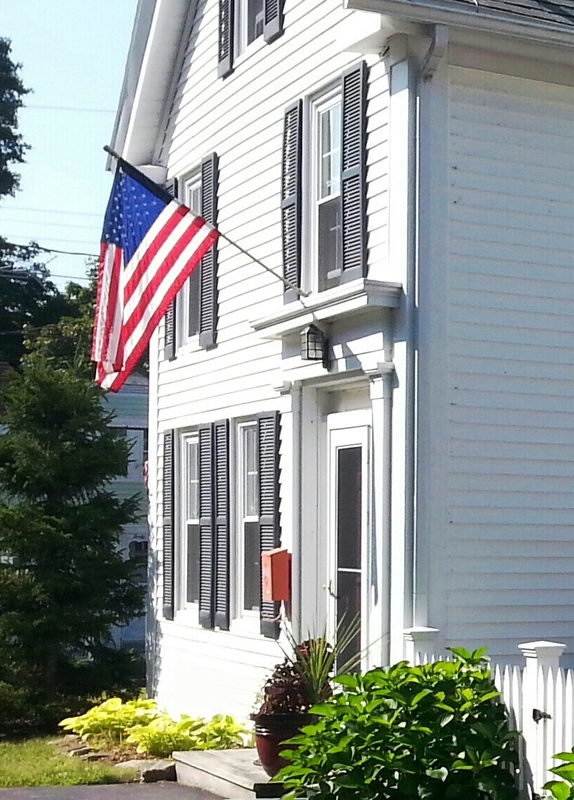 I am a REALTOR and co-owner of Maine Home Realty in Bath, Maine. I work with Buyers and Sellers of Residential Real Estate throughout the Mid-Coast Region. My goal is to provide my Clients with a different, honest, and thoroughly professional real estate buying or selling experience. In my free time, I enjoy gardening, our cabin on the pond, golf, and the local arts scene! This entry was posted in Buyer Info, Financing Info, First Time Buyer Info, Home Ownership, VA Home Loans and tagged Home Buying, VA Home Loans, Veterans Day. Bookmark the permalink.